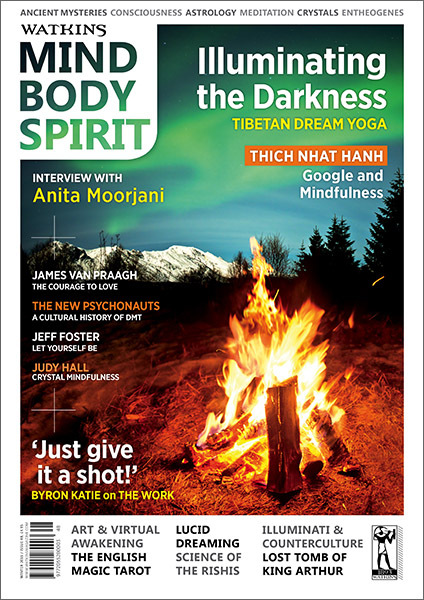 Author Andrew Holecek shows us how to illuminate our lives through Lucid Dreaming and the Tibetan Yoga of Sleep. The nocturnal meditations of lucid dreaming, dream yoga, and sleep yoga are little known in the West, but they’ve been around for thousands of years in the East. 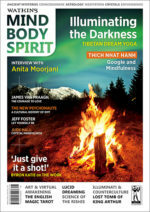 These uncommon meditations have been at the core of my spiritual path for over thirty years, offering a unique opportunity to practice even while I sleep. Lucid dreaming is when you wake up to the fact that you’re dreaming, while still remaining in the dream. It’s a fantastic experience of freedom and control, and the ultimate in home entertainment. 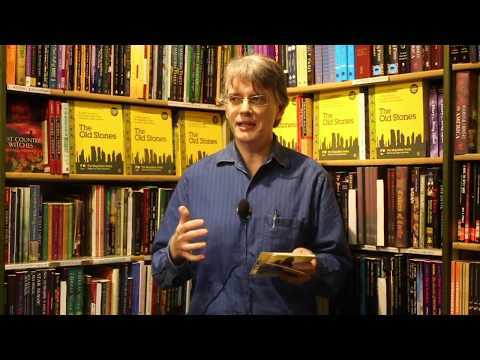 You become the producer, director, writer, and main actor in the theater of your own mind. You can script the craziest adventure or indulge your wildest fantasies. In sweeping terms, lucid dreaming is mostly concerned with issues of self-fulfillment. During the first decade of my lucid dreaming, I did what most people do. I simply had fun. I loved to fly in my dreams, to feel the wind blowing through my hair, to soar above the clouds, and then to dive-bomb towards the earth like a fighter pilot on a joy ride. If a beautiful woman happened to appear, I’d screech to a halt for a brief tryst in the wilds. Lucid dreaming can also be used to rehearse situations, solve problems, and work through psychological issues, which is a more evolved use of lucidity. It can help with nightmares and depression, and has been shown to boost confidence and assist in the management of grief. It has also been shown to improve motor skills, and therefore has the ability to improve athletic performance. Training your dream body can train your physical body. Lucid dreaming activates the brain in the same way as waking life. If you sing in your dream, for example, your right hemisphere is activated; if you work on a math problem in your dream, your left hemisphere is activated – just as in life. Lucid dreaming can also facilitate healing. One doctor published a paper about a patient with a twenty-two year history of chronic pain who cured himself overnight with a single lucid dream. I used to have nightmares, but by becoming lucid within them I was gradually able to transform my relationship to these unwanted states, and incorporate the disowned aspects of my identity that were seeding the nightmare. Instead of running away in fear from what is in essence my own mind (what else is a nightmare made of? ), my lucidity gave me the confidence to do the opposite. I would turn around, face whatever was chasing me, and then embrace it. In so doing, the monstrous aspect of my mind would usually dissolve into me, and the nightmare would end. By doing this repeatedly, all my nightmares ended. As marvelous as lucid dreaming is, in the spectrum of the nocturnal meditations it’s just the first step. Lucid dreaming can evolve into dream yoga, which is when the theater of the mind is replaced with a laboratory, and the psychological benefits evolve into the spiritual domain. 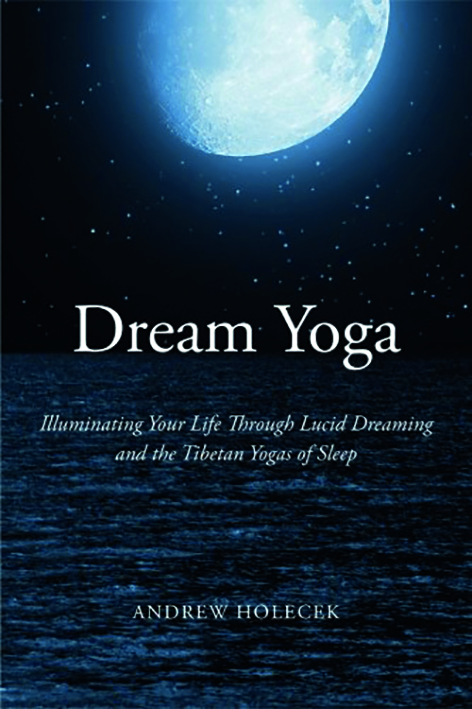 While lucid dreaming is mostly concerned with self-fulfillment, dream yoga works with self-transcendence. It’s a “yoga” because it stretches the mind into previously unconscious territory, and because it serves to “yoke” us to deeper aspects of our being. Just as physical yoga makes your body more flexible, dream yoga makes your mind more flexible. And as the saying goes, “Blessed are the flexible, for they are never bent out of shape.” A flexible mind is adaptable, malleable, supple, accommodating, amenable – and open. Who wouldn’t want a mind like this? Once a mind is open and pliable, you can wrap it around all sorts of new experiences. 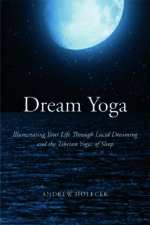 Dream yoga uses the medium of the dream to explore the nature of mind and reality. Just as astronauts explore the reaches of outer space, “oneironauts” (oneirology is the study of dreams) probe the depths of inner space. Once they become lucid, dream yogis engage in a series of progressively more subtle practices, each designed to go deeper into the darkest recesses of the mind. “Darkness” is a code word for ignorance, and these practices illuminate the darkness, and therefore eliminate the ignorance. The final result is discovering who you truly are, which is what the Buddha (“the awakened one,” or “one who knows”) did. Just as dream images can be transformed in dreams, so emotional states and conceptual limitations can be transformed in waking life. With experience of the dreamy and malleable nature of experience, we can transform depression into happiness, fear into courage, anger into love, hopelessness into faith, distraction into presence. What is dark we can change to light. Challenge the boundaries that constrict you. The purpose of these practices is to integrate lucidity and flexibility with every moment of life, and to let go of the heavily conditioned way we have of ordering reality, of making meaning, of being trapped in delusion. In other words, when you’re transforming the contents of your dream, what are you really doing? You’re transforming your mind. You’re changing the way you relate to the contents of your mind. So the whole purpose of the nocturnal meditations is to extend your nightly insights into your diurnal life. Some of the other stages include creating frightful situations and then working with your fear; entering into the dream body of another character in your dream (to develop empathy); changing your dream body into that of deity, or other sacred figure (to change the way you see yourself); or meditating in your dream (to develop your mental stability). With stability in dream yoga, you can progress into the final “dark meditation” of sleep yoga. This practice shows you how far the nocturnal meditations can go. With sleep yoga you maintain awareness (lucidity) in deep dreamless sleep, and transform the archetype of ignorance. If you live to be ninety years old, you’ve spent thirty of those years sleeping, and entered the dream world around half a million times. That’s a lot of time in a state of consciousness you know very little about. Don’t you want to change that? Think about how much you could learn in “night school” if you had even a few of those thirty extra years. Meet the author: Andrew Holecek has completed the traditional three-year Buddhist meditation retreat and offers seminars internationally on meditation, dream yoga, and death. He is the author of The Power and the Pain, Preparing to Die, and Meditation in the iGeneration.